So beautiful & delicate! (Just in time for spring in a couple of weeks)! What a delectable little snack- I mean, FLOWER! *(purrs)…lovely! 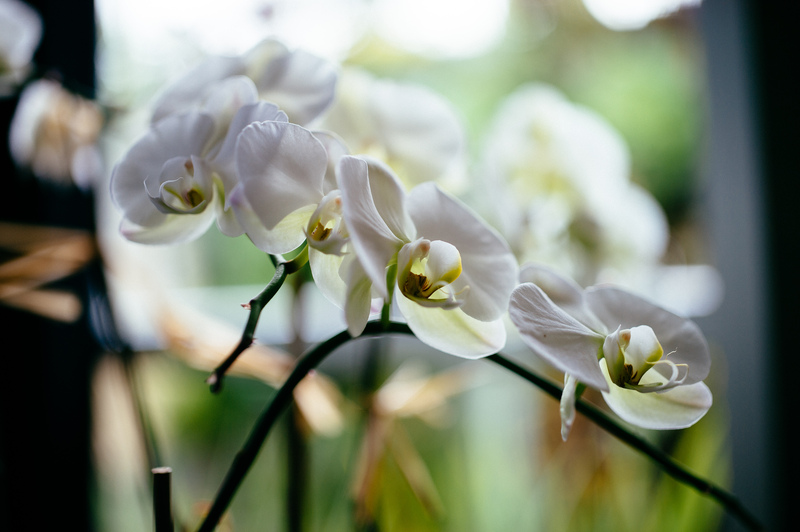 These white Phalaenopsis are my favorite winter houseplants. So crisp and serene after all the color of the Holidays and the blooms last for weeks. Great shot. Thanks. Beautiful! The Atlanta Botanical Garden has a great orchid exhibit going on right now. Reblogged this on Publications diverses..
absolutely gorgeous! I have a few of these plants in my house..Love them! Your photo’s are an inspiration. I write a blog http://www.layalilifestyle.com and I must say I’m new to photography but I love getting into each photo I take for each of my posts. Photo’s can speak louder than words. Keep it up! Reblogged this on adediranbisola's Blog. Đơn giản nhưng ấn tượng.